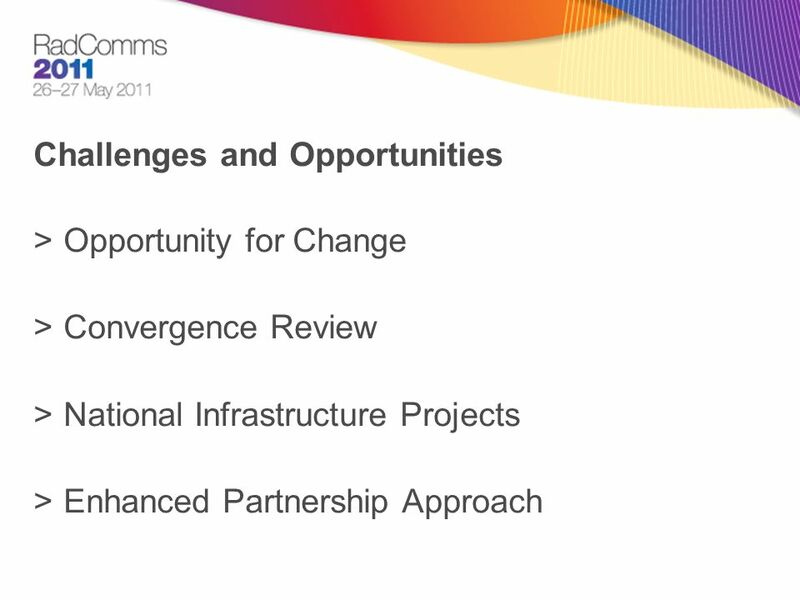 The Future and Beyond Maureen Cahill General Manager Communications Infrastructure Division. 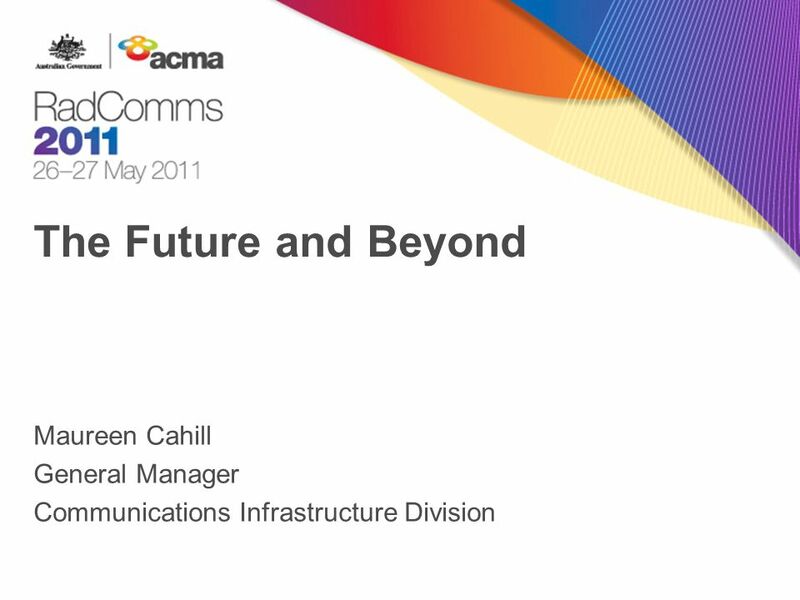 Download ppt "The Future and Beyond Maureen Cahill General Manager Communications Infrastructure Division." 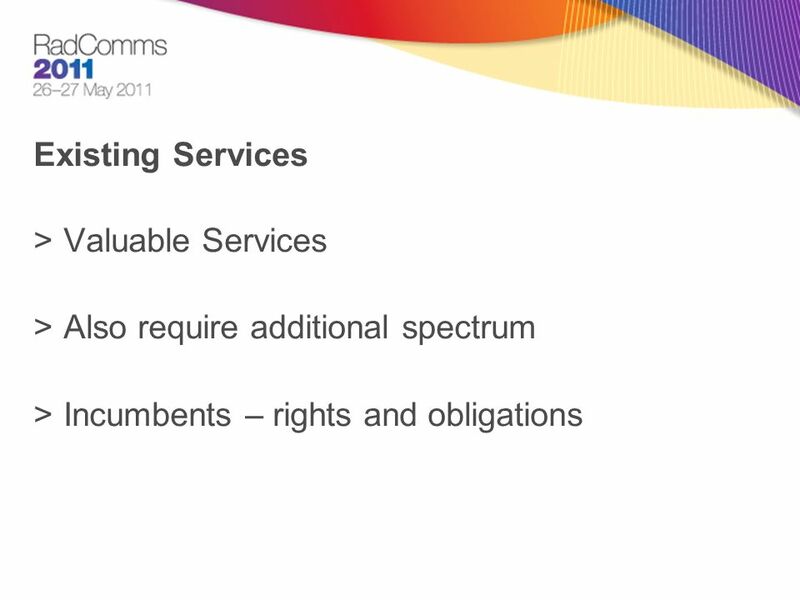 WAPECS - A more flexible spectrum management approach Isolde Goggin Chairperson of COMREG, Ireland, and RSPG Rapporteur on WAPECS. Anne Hurley, CEO Communications Alliance Seeing beyond the horizon CommsDay Summit 2008 Industry Futures Symposium. Botswana Policy Statement at the WSIS+10 Honourable Nonofo E. Molefhi Minister of Transport and Communications. 1 Telecommunication Services & Latest Developments in Regulatory & Institutional Frameworks Session 1: Trends in Infrastructure Services UNCTAD, Palais. 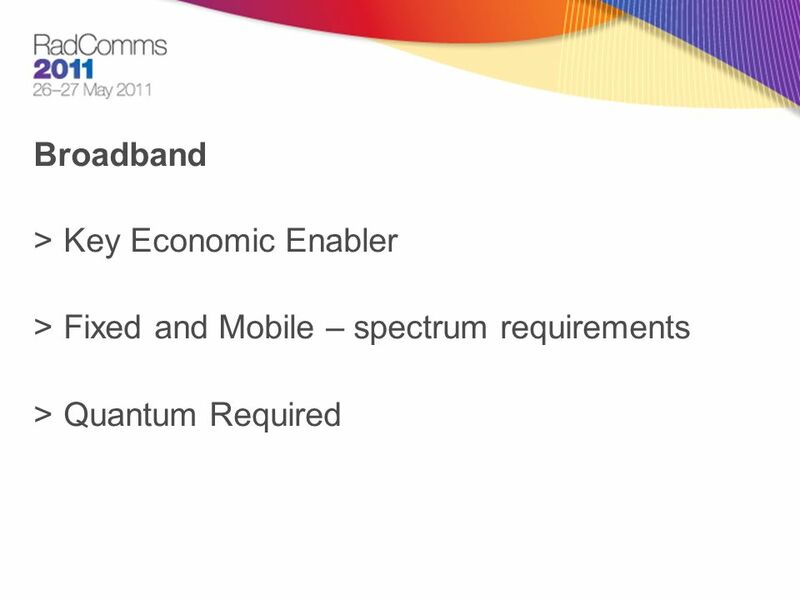 Australian Mobile Telecommunications Association Productivity - Connectivity - Mobility Mobile Broadband A Key Economic Driver. 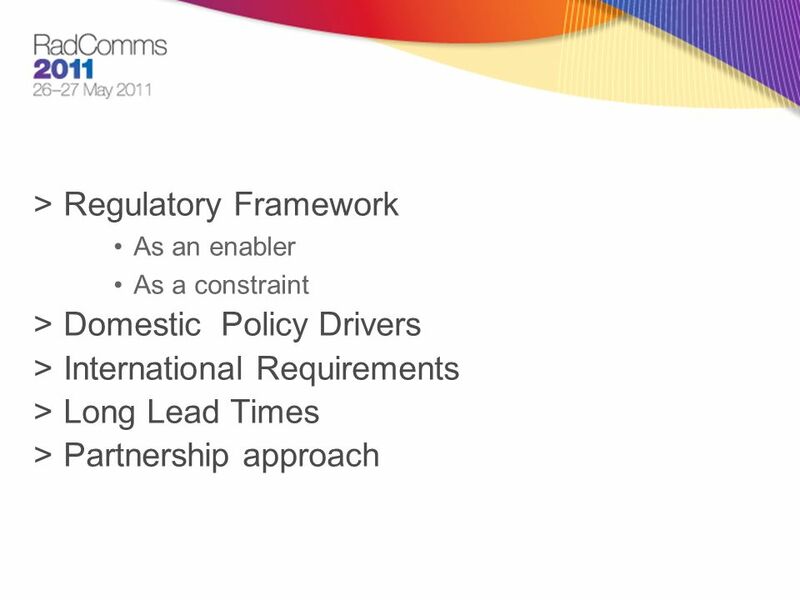 EU regulatory framework for electronic communications - Introduction Richard Harris Independent EU telecommunications consultant ICTtrain workshop London. The UK Space Agency: Our plan for space Dr Alice Bunn, Director of Policy November 2014. 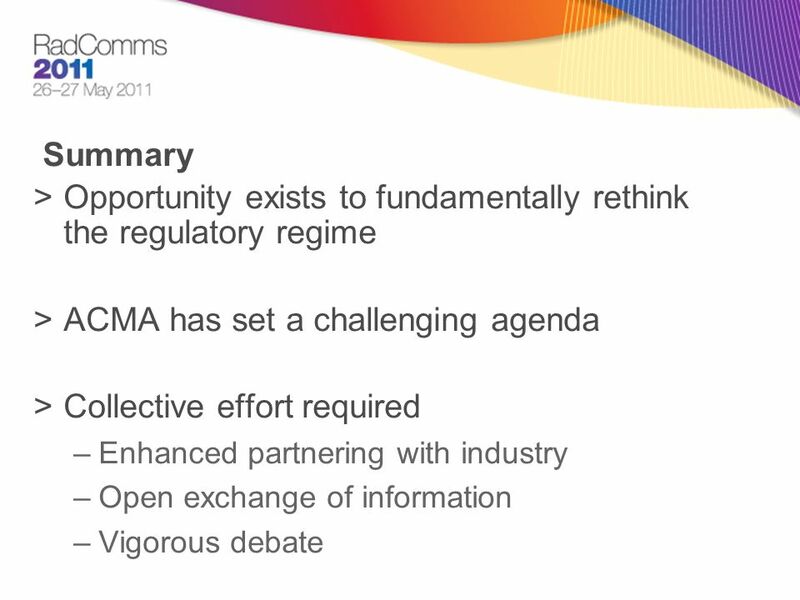 Regulatory Requirements for Broadband Lebanese Broadband Stakeholders’ Group Workshop TELECOMMUNICATIONS REGULATORY AUTHORIT Y (TRA), LEBANON January 2010. ENERGY, OIL AND GAS DEVELOPMENT Consultative Group Meeting September 23, 2010. 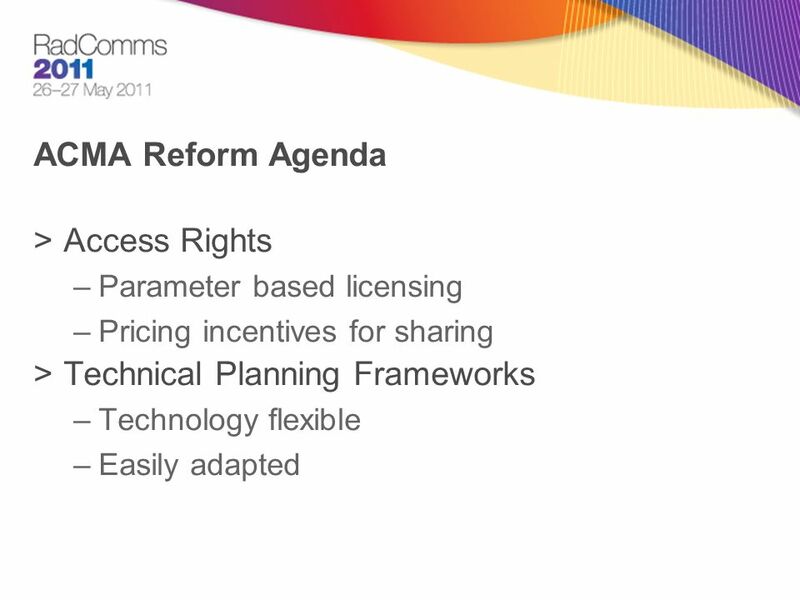 Spectrum regulatory approach for TV White Space devices -Progress report- ATRC JWG meeting, Apr 2015, Cambodia. RadComms 2014: Innovations in Spectrum Management Lynne Fancy Senior Director Spectrum Development and Operations Industry Canada September 2014. Radcomms2014 Spectrum Review. 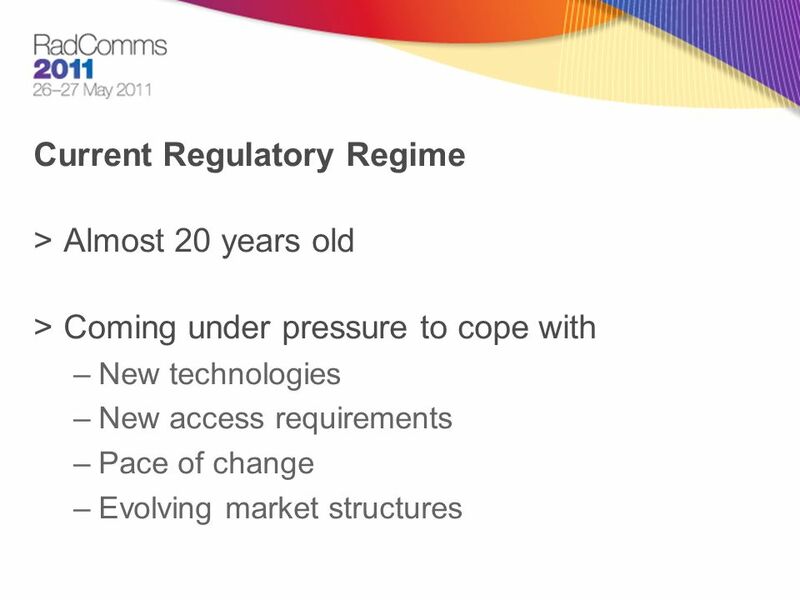 A pre mobile world = telephony At home At work On the move And then…….